Indian Princess 2014, season 5, is on the edge of its conclusion now. The pageant is headed by Mr. Sunil Rane and is mentored by Mrs. Varsha Rane along with the team of Atharva Group of Institute. Just after 2 days, 3 lucky girls shall be walking away with the crown on their head and a chance to represent INDIA at an international platform. Our experts have been observing these girls since the start of the pageant, jotting down the pros and cons of the girls. Finally, after allocating points, we have come up of our list of favourites whom we believe might do well at international level competition. Here we present 3 bands of favourites. 1) Gold: A very close shot at a crown on finale. 2) Silver: Can pull a surprise and win a crown. 3) Bronze: Have potential need to explode it during finale/Need to see more as a person. 1) Anchal Choudhary: This girl made a late entry compared to other girls of IP. Hence not much pics were available during the coverage. However, the girl certainly has got few nice features which may enhance her look when provided with proper touch up. Right now, we would like to put her in Bronze band as we need to see more of her during finale. 2) Anuja Kashyap: This girl has got angelic beauty and in photo-shoot, she channelizes very beautifully. She, however, needs to project more while getting shot. Her height also seems decent. Right now, she may be kept in a Silver band. As suggested, if she could play her cards well, she may pull out a top 3. 3) Chandni Sharma: This girl has got very Indian looking features, which will definitely help her stand out at an international platform. For sure, to us, she is a front runner for the crown. Also heard from few contestants that she has got great personality, which is a plus point at a contest like Indian Princess which gives importance to the moral values and personality of a participants. Hence, we shall put her in Golden Band. 4) Deborah Doris Fell: Deborah is an experienced candidate in the field of modelling and pageants. She is certainly a girl to watch out. 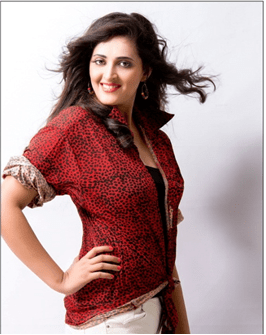 Coming from Hyderabad, this girl has got lots of personality and a great fashion sense. From what we have seen in past, she is quite articulate and this shall be her arena when it comes to final question. This girl has got the capabilities to shine at an international platform with little grooming and toning. Hence, right now, we put her in Golden Band. 5) Dimple Paul: Dimple Paul is a girl who comes out to be very beautiful and serene at a time and sometimes she turns out to be a bold and fierce girl. This girl seems to have lots of X-Factor and in pictures she looks quite approachable. However, it’s difficult to say that she will get hit at international platform for sure. Need to see her finale performance, till then we would like to keep her in Silver Band. 6) Gurpreet Kaur: We saw this girl at Perfect Bride back in 2009 on star plus. She was definitely one of the most beautiful girls out there, which made her win the beauty contest held amongst the girls in there. The life took U turn later on and she went into the field of modelling. We were surprised to see her in Indian Princess 2014, as we always wanted her to compete in Beauty Pageants. This girl was front runner for us in the beginning, however, our experts felt that she was seen less during the coverage pics. Hence, to keep a safe prediction, right now we will put her in Silver Band. 7) Juhi Khan: As Gurpreet and Deborah, Juhi is also an experienced girl in pageant. 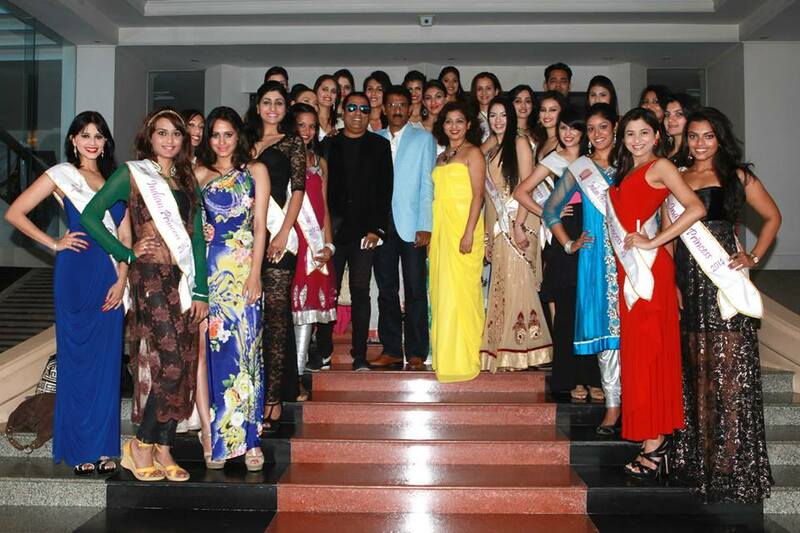 She has already represented India at Miss Tourism International 2013 past December. She has got what it requires to be in pageants, i.e. Beauty. However, Juhi needs to focus more on projecting on camera while getting clicked. Her pictures during December didn’t have much to convey, but during IP 2014, she seems to have improved on that front. Hence, right now we see her placing in Silver Band. 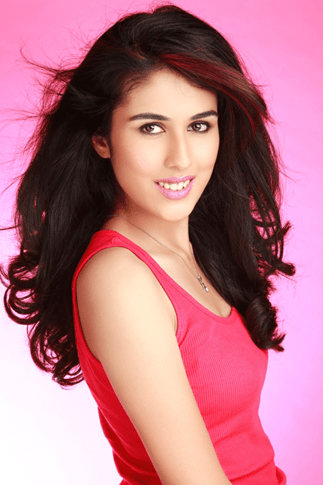 8) Kaur Preet Choudhary: Kaur Preet seemed very shy in pics. It was difficult to judge her personality just on the basis of pics. It’s essential to see her performing on 18th during finale and then only we would make a final judgement about her. Hence, right now we shall keep her in Bronze Band. 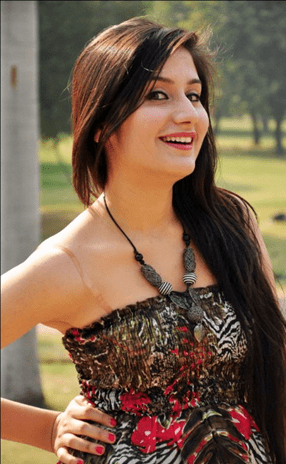 9) Monica Sharma: This Delhi kudi has got porcelain doll-like features. Hence, if just for face, we can easily put her in golden band. However, it was not much possible to gather all her X-Factor in photos. But this girl definitely stood out in few pics, hence right now it would be safe to keep her in Silver Band. 10) Nisha Choudhary: Nisha was a front runner in online voting in the beginning and seemed crowd favourite, however later on her votes didn’t go as high as expected. Nisha has got good height yet the projection on the camera was not much visible. If she can step up her game on finale, we can expect some surprise from her. Right now, she will be in our Bronze Band. 11) Rashmi Rajput: Rashmi has got good facial features and is capable of pulling out a surprise on finale. We would like to see more from her as not much was conveyed from the pictures we could see. Hence, right now she would be in our Bronze band. 12) Reena Barot: Reena missed out the Silver Band just by 0.25 points. Reena’s pic has come out really well and she can be a very successful print model. However, while scoring, few of our experts gave her high scores whereas few had switched on the other side. Hence, when average score was taken, Reena came into the Bronze Band. However, since the score received were inconsistent, it’s really difficult to tag her just in Bronze Band. 13) Sabby Suri: This Chandigarh ki kudi is on high roll at online voting. Her modelesque features and facial harmony leads to make you believe that she might turn out to be a potential winner. Her pictures conveyed a great personality and hence we shall right now put her in Gold Band. 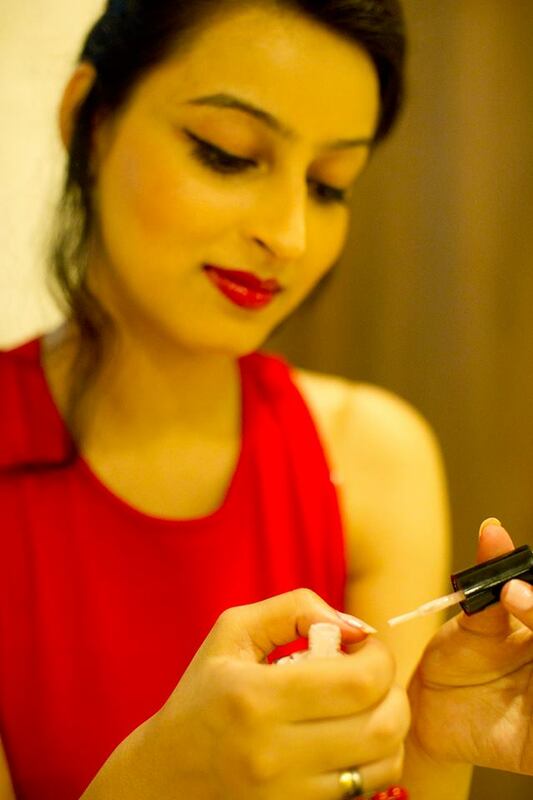 14) Swati Nanda: She is the current leader of online poll for the people’s choice award. Swati has got a huge fan following and support. This might have boosted her confidence and we are sure this helps in performing better. She is already an established model and knows how to deliver on camera. Hence, her projection skills are quite well. Right now we see her in Gold Band. 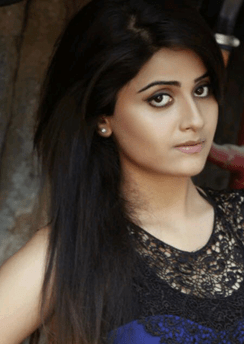 15) Swati Singh: Very sweet and demure face Swati Singh has got. She was a leader on online poll and is still competing aggressively with Sabby Suri and Swati Nanda. Her pic conveys that she must have got very warm and approachable personality. When styled well, she looks like an undeniable winner material. Hence, it would be obvious to put her in Gold Band. 16) Surbhi Tewari: This girl from Haldwani seems a great package. She is beautiful, tall and has got good projection skills. We are not sure, if she is already into modelling but if she is not then she definitely need to give it a shot. Her pic speaks a lot which is sufficient for us to put her in Gold Band. This girl can really become a great winner if she could put all her efforts during the finale performance. 17) Unnati Hunjan: Unnati is a girl whose pics are always serene and conveys that she is a sweet and genuine girl. Again, this quality is what IP values a lot. Unnati has definitely got a shot at crown and seems to have improved a lot from what we saw her on day 1 to what we are seeing today. Hence, as a transformation itself, we would put her in Gold Band. 18) Urvashi Sharma: Facially one of the most beautiful girls of the contest and has got slender body frame which is a plus at an international arena. She is tall, beautiful and fit for any pageant. However, personality is not much conveyed in the pics or maybe we haven’t seen enough pics of her during this past 20 days. Her score was a tie with Sabby Suri and hence both of them made it to the Gold Band. It would be interesting to see if our predictions go correct or the other way round. Our judgement is just on the basis of pics, which may not have conveyed the real personality of a girl. Hence, the final review shall be provided only after we meet the girl during finale and see them performing live. Also to be noted, the review has got no weightage to the final result of the contest. Gold Band For our Lovely $wati Singh!! Yipppeeee!!! Applause!!! Congrats x Millions!! !